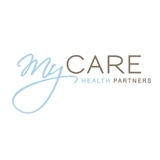 MyCare Health Partners (Miami) - Book Appointment Online! At MyCare Health Partners, we believe the quality of care you receive has the power to enhance your health and your overall quality of life. Our board certified physicians and friendly staff are committed to providing the highest quality personalized care for you and your family in a comfortable and trusted environment. Conveniently located near Pinecrest, South Miami, Kendall and Coral Gables, MyCare Health Partners offers a range of general and customized services to cater to your everyday health needs. We provide extended and weekend hours to fit your busy schedule and we welcome patients at multiple stages of life: young adults (ages 15+), adults, and seniors. Our healthcare professionals are fluent in English, Spanish, and Hindi. We look forward to being your partners in primary care. Jessica was fantastic! She addressed all of my issues and concerns, aside from the fact that I was in search of a PCP, and I found her. Attentive as can be and very friendly. It was my first visit with Dr. Kini. I was very pleased that she took the time to listen to my concerns. Was nervous since I hasn't been to a doctor in a long time. Shouldn't have been, though. Dr Bango is cool, as are her staffers. Think I've found a good primary care doctor I'm comfortable with.